Design Architecture Consulting - HP Inc. In November 2015, HP split into HP Inc. and Hewlett-Packard Enterprise. HP Inc. sought to relocate 4,000 employees from their existing shared Houston campus, to a new campus in Springwoods Village development. The goal was to have a state-of-the-art building in a vibrant upscale setting with the intent to attract and retain the brightest talent from around the world. Additionally, it would be a corporate campus that would serve as a catalyst to increase face to face interaction within the workplace, that would spur creativity and excitement. The HP Inc. two building campus is 378,000 square feet, with a five floor and four floor building. The campus supports HP Inc.’s 52 business units including personal systems, design, global accounting, and more. The campus is also suited with open and closed work spaces, creative lab areas, a luxurious fitness center, an enticing product showroom, and a majestical dining room adjacent to the servery. 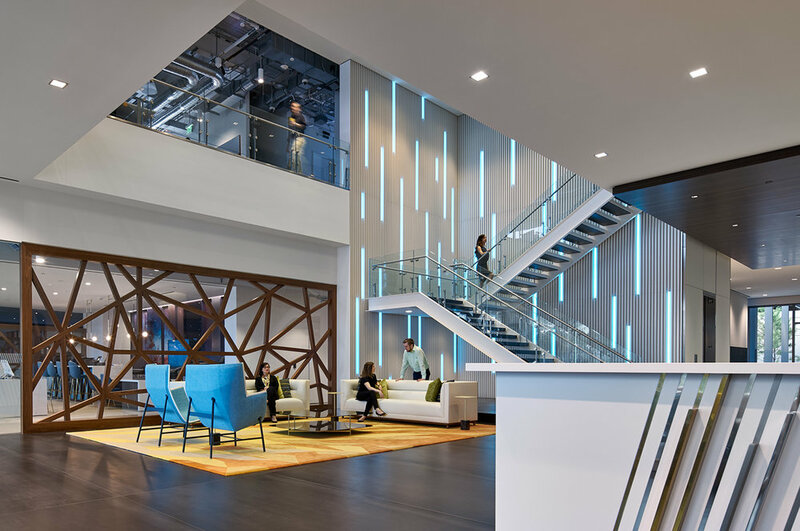 Ultimately, HP Inc. prioritized three concepts for their modern space: reinvention, innovation, and employee growth. Variety of spaces were created to support different modes of work and preferences. The design provides a range of work postures from single work to large collaborative sessions. The office provides a variety of collaborative spaces to share and incubate ideas. “Collaboration pods” were introduced to give employees the opportunity to work in different ways with different group sizes. There are set aside places for single work, small group work, large group work and open collaboration between multiple groups. All these areas have flexible architecture and modular furniture allowing each space to be used in multiple ways. Access to daylight supports employee wellbeing, Therefore unlike HP’s previous office, the physical barriers were removed to increase connections and allow natural light to all workers. 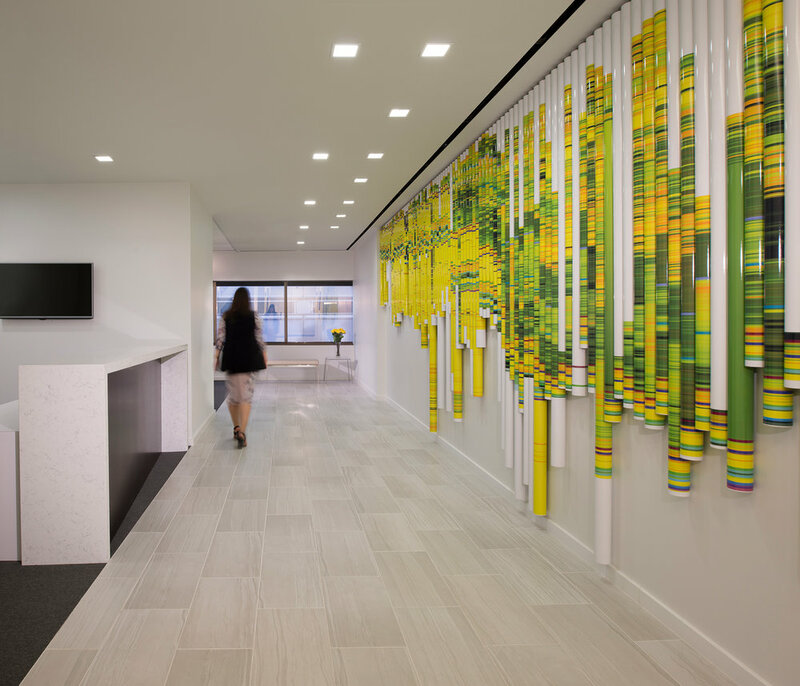 The technical labs were previously in enclosed windowless spaces but are now located in the center of the floor surrounded by artful graphic treatments on glass. To allow for more privacy, movable whiteboards slide on the walls.